How do you streamline the process of communicating with clinicians to fulfill time-sensitive prescriptions and still stay compliant with complex regulations? This is a central challenge for any pharmacy. 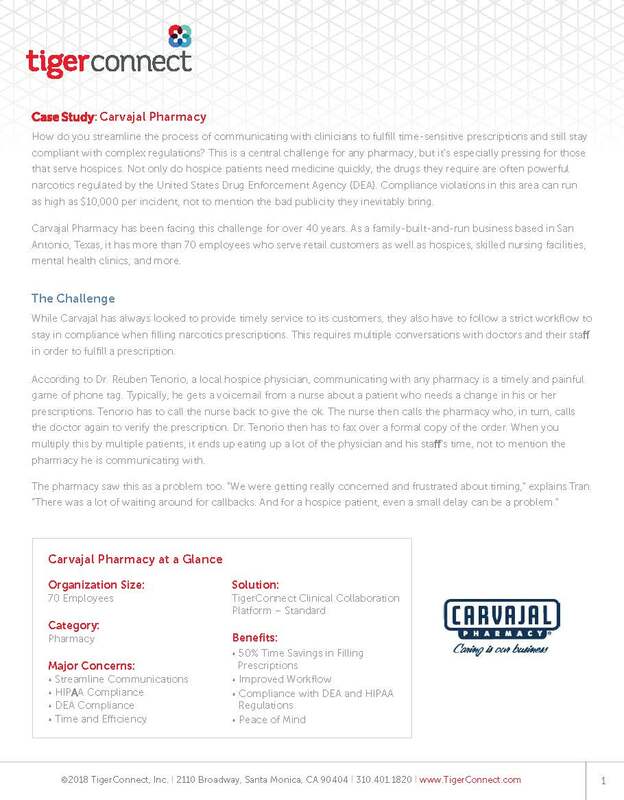 Carvajal Pharmacy adoptedTigerConnect to save time and overcome communication challenges posed by a strict regulatory environment. With the new system in place, the pharmacy has been able to streamline its workflows and focus on doing what it does best: provide timely medicine for those who need it most.